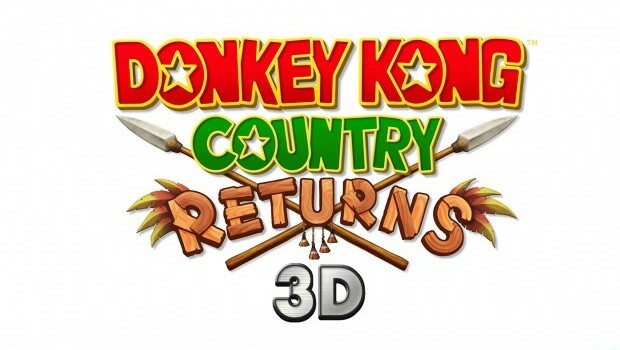 Donkey Kong Country Returns 3D is — in a word — difficult. I’d never had a chance to play through the eponymous ape’s latest quest the first time around on the Wii, But I’ve heard stories — nay, legends — of its ability to make grown men weep under the pressure. Luckily the 3DS version — essentially an updated port of the Wii game — appears to replicate the challenge while making it a bit more accessible to players less tolerant of video game masochism. Oh, and it also adds a few new levels for good measure. [singlepic id=12378 w=320 h=240 float=left]When you start up a new file, you’ll be asked if you want to start in “New” mode or “Original” mode. “Original” mode brings the entire, unchanged Wii version of the game over while “New” mode makes the game a teeny bit easier by raising the amount of hearts Donkey and Diddy Kong start with from two to three and allowing you to buy a few extra life-saving items to bring with you into some of the trickier levels. You’ll need all the help you can get, as Donkey Kong Country Returns 3D will test your every reflex to make it through each of the levels on offer. Similar to Super Mario sidescrollers, you’ll typically have a ton of lives — those you don’t find, you can buy with the plethora of coins you’ll grab. Unfortunately, Donkey Kong isn’t as nimble as the mustachioed plumber, and his running and jumping isn’t quite as precise as you’d like. It’s never bad enough to ruin the game, but there were moments that I felt that I was fighting the controls off more often than the obstacles. It doesn’t help that the Circle Pad isn’t nearly as precise a control mechanism as the D-Pad, and yet, there’s no D-Pad support anywhere to be found — odd, considering that was how the original game controlled. Control issues aside, the game looks and plays great on the 3DS. Lush jungles, bustling factories, and more are all wonderfully displayed on the handheld, with little sacrificed in the jump. There are some occasional bouts of slowdown present — especially when the 3D slider is turned on — but it’s usually over rather quickly. Speaking of 3D — wow. There are some impressive moments that take advantage of the 3D “pop” — moments when Donkey Kong shoots off into the background or foreground stand out in particular. It’s never necessary like it was at times in Super Mario 3D Land, but it’s definitely worth checking out. [singlepic id=12379 w=320 h=240 float=right]Levels consist of typical sidescrolling action — hop on baddies’ heads to take them out while avoiding obstacles and pitfalls to make to the goal at the end. Like the original Donkey Kong Country games for the SNES, you’ll find tons of secret areas, hidden items, and barrels to shoot out of. It’s all genuinely fun, and there are moments where the level design is particularly inspired — levels that are displayed entirely in silhouette, save for Donkey Kong’s red tie; mine cart and rocket rides that require perfect precision; chaining barrel blasts one after the other to get through a long obstacle course; and so on. Half the fun is seeing what developer Retro Studios will throw at you next — and they do throw a lot at you. Donkey Kong Country Returns 3D is a solid action-platformer with a ton of neat ideas, a smattering of levels and hidden treasures, and a difficulty not found in Nintendo’s other, more popular sidescrolling franchise. There’s not a whole lot new here if you’ve bungled through this jungle already, but if this is your first banana safari — or you want to go on a second expedition — it’s well worth the trip.